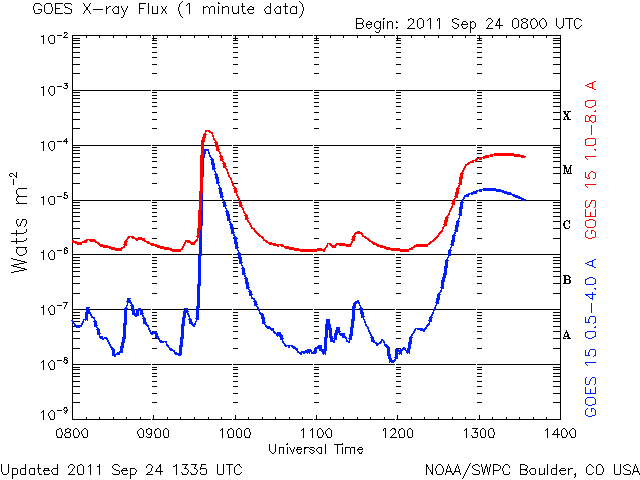 There was a solar flare this morning, starting at around 1030 UTC and peaking at a level of X1.4 at around 1100 UTC. 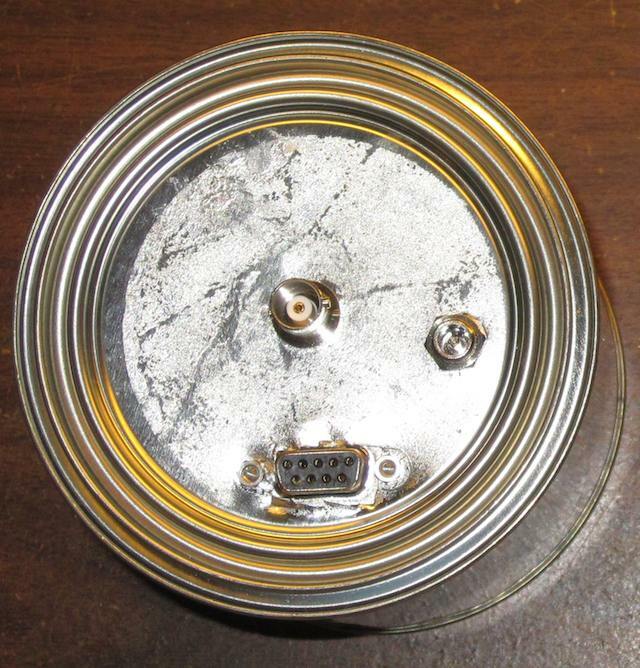 They also eject a large number of charged particles, such as electrons and protons. The effect of the x-rays is immediate, as soon as they reach the Earth (taking about 9 minutes at the speed of light) they cause a sudden increase in ionization of the ionosphere, but not in a good way. The D layer, which attenuates radio waves, rather than reflecting them, becomes strong enough to block large portions of the HF band. The D layer is what prevents long distance reception of MW signals during the daytime. With a stronger D layer, due to the flare, this attenuation moves up into the HF bands as well. 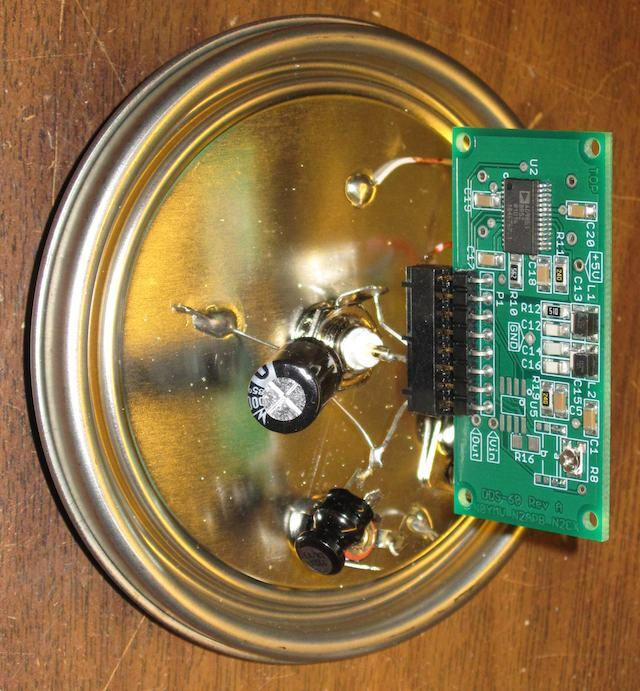 Depending on the intensity of the flare, frequencies to 10, 15, or 20 MHz, or possibly even the entire HF spectrum, can be completely blocked. The effect is only present on the portion of the ionosphere in daylight, nighttime areas are not affected. As I type this, at 1400 UTC, CHU on 3330 is completely absent. The x-ray levels are down to about the M1 level now, earlier I suspect higher frequencies were being attenuated as well. 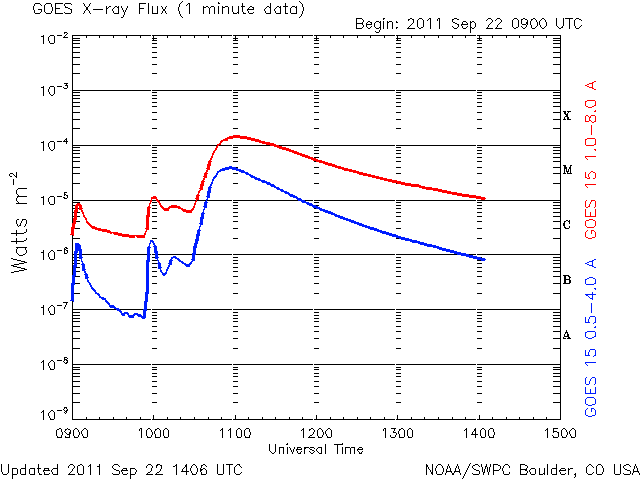 Solar flares are categorized by their intensity at x-ray wavelengths. A log type scale is used, much as for earthquakes. An X1 flare is ten times as strong as an M1 flare, which is ten times as strong as a C1 flare, for example. Within each letter, numbers are used to further classify the intensity. An M2 flare is twice a strong as an M1 flare. An X1 flare would be equivalent to an M10 flare, if such a designation existed. Although strong solar flares can be highly disruptive to HF, they do allow the reception of some signals that would otherwise be difficult to receive, depending on the various locations of the stations and your QTH. A flare could cause the signal from the dominant station on a particular frequency to be heavily attenuated (if the path between your location and that station is in the sunlight portion of the Earth), while allowing another station (if the path to that station is in darkness) to be received. This particular flare was on the limb of the Sun, so any charged particles ejected by it are not likely to be directed to the Earth. When flares do produce Earth directed CMEs (Coronal Mass Ejections), the charged particles often produce geomagnetic storms when they reach the earth, producing aurora, and degrading MW and HF radio reception, for hours or even days. A few months ago, I got a new radio – a netSDR from RF Space. I’ve had an SDR before, the SDR-14, also from RF Space. The major difference between the two is the maximum bandwidth. 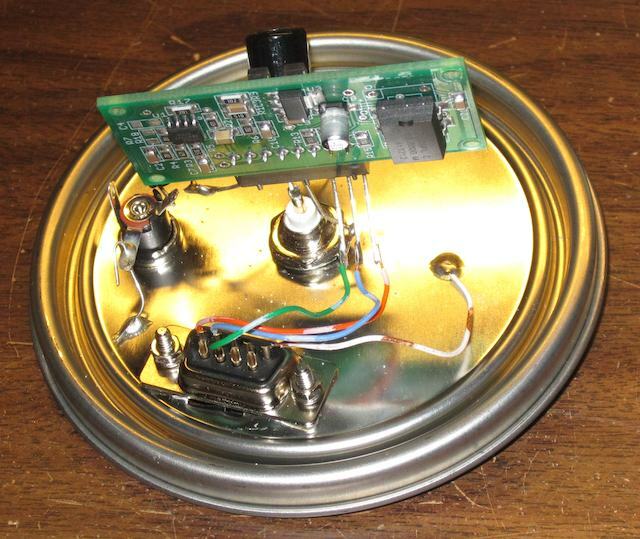 The SDR-14 used a USB interface, and was limited to 190 kHz. The netSDR, which uses an ethernet interface, has a maximum bandwidth of 1.6 MHz. In other worse, you could record the entire MW band. Think of an SDR as a fast A/D (analog to digital converter) connected to your antenna. In the case of the netSDR, it is sampling at 80 MHz, which allows a theoretical maximum frequency of 40 MHz (half the sampling rate) to be received. In practice the maximum frequency is less than half, due to non ideal filters, 32 MHz in the case of the netSDR. 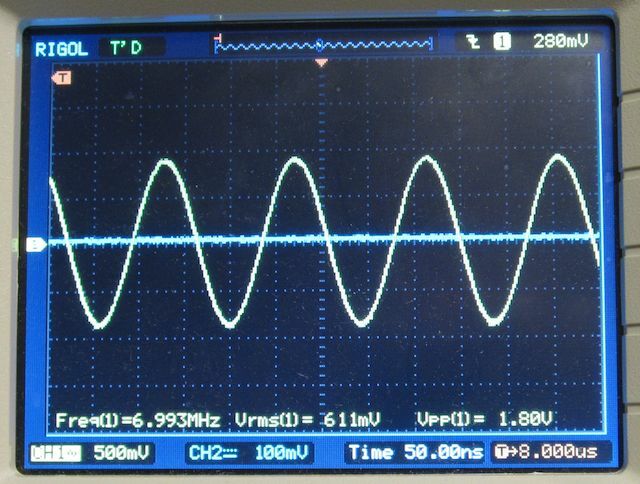 The A/D output is then mixed in quadrature with the NCO (numerically controlled oscillator, which sets the center frequency), and fed through various filters and decimators in the netSDR, reducing the sampling rate and bandwidth. For example, if the NCO is set to 6900 kHz, and the final bandwidth is 200 kHz, the output of the SDR will represent 6800 to 7000 kHz. In quadrature means that two NCO signals are used, both at the same frequency but 90 degrees out of phase with each other. This is often referred to as I/Q data. This data is sent to the computer over ethernet, where the application software uses various DSP (digital signal processing) routines to further filter and then demodulate it. Generally, an SDR is used in two ways. First, you can use it like a normal radio. The output of the SDR is mixed as necessary with another NCO to produce a final center frequency equal to that of the station you want to listen to. This is then filtered to the desired bandwidth (comparable to the IF bandwidth of an analog receiver) and demodulated. All of this is done in software, of course, after the initial A/D conversion. Second, you can display a waterfall of an entire chunk of the RF spectrum, allowing you to see what frequencies are in use. For example, you could look at 6800-7000 kHz (or even wider) and instantly spot a pirate station as soon as they go on the air. Likewise, with the 1.6 MHz bandwidth, you can look at the entire MW band (heck, LW as well) at the same time. Or almost the entire 10 meter ham band. 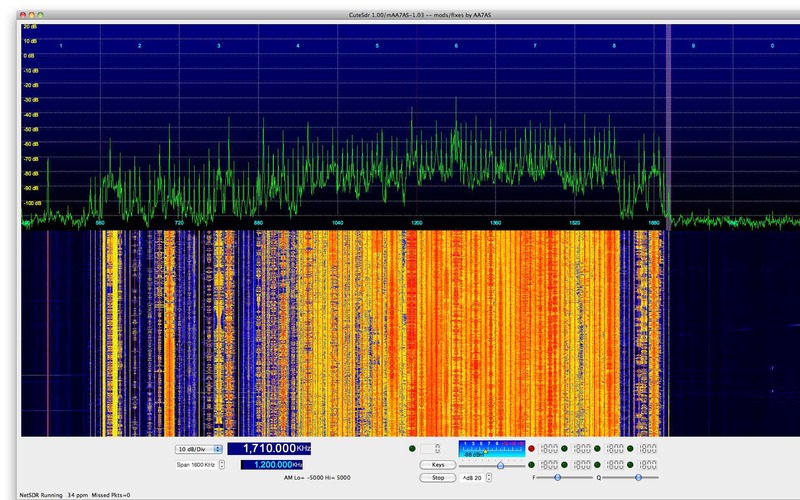 You also could demodulate multiple stations at the same time, as long as they are all within the bandwidth of the I/Q data being sent from the SDR to the computer. In theory, if your computer was fast enough, you could demodulate every single channel in the MW band at the same time.